Finally any dental appliances (such as dentures or plates) are checked for fitting, comfort and retention. People often suffer with toothache that may occur from eating, drinking and daily activities. Soon these everyday and normal activities became difficult. Call your local dentist for an dental check up appointment. Any form of tooth pain should be taken as a warning sign. Tooth sensitivity is having some degree of pain or discomfort in teeth to certain stimuli. This can be from hot or cold temperatures. Having this pain or discomfort is often an indication of tooth decay. Treating tooth decay as soon as possible can help prevent the tooth decay from developing into something worse that will cost more to treat. Having white spots on your teeth may indicate tooth decay. Tooth decay is often not noticeable, however with regular dental check ups it can be detected and treated in it’s early stages. If you see white spots on your teeth, book a dental check up with your local dentist. Dry mouth is a condition where the salivary glands, located in your mouth, do not produce enough saliva. This can cause serve tooth decay and gum disease if it is left untreated. 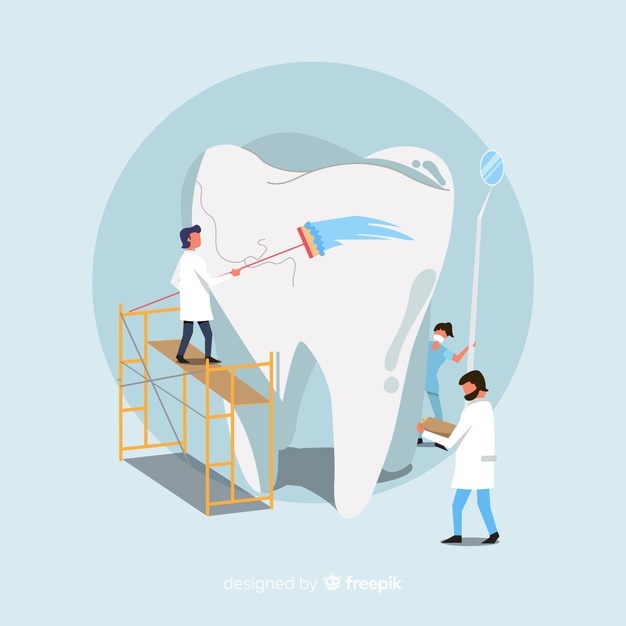 Therefore, if you are experiencing this often, you should call your dentist to book a dental check up for your dentist to have a look and advise a treatment plan. Chronic headaches are often not linked with dental issues. However, common issues like grinding or clenching can cause headaches. This can also lead to neck pain, which in turn can cause back pain. If you feel like you grind or clench your teeth, then you should also call your dentist to book a dental check. When you floss and brush your teeth daily, you may notice your gums either bleeding and/or inflamed/swollen. If you experience these symptoms, you may have a build up of hardened plague around your gum line. A dental check up would be beneficial to help clear up this hardened plague. A dentist can help figure out the cause of the sore and advise you a treatment method that is best suited for you. If a sore lasts more than a week, schedule an appointment with a dentist as soon as possible. Has it been over six months since the last dental check up? If this is the case, then a dentist appointment is even more critical. A dentist can clean between the teeth and discover the signs of an infection before it can spread.